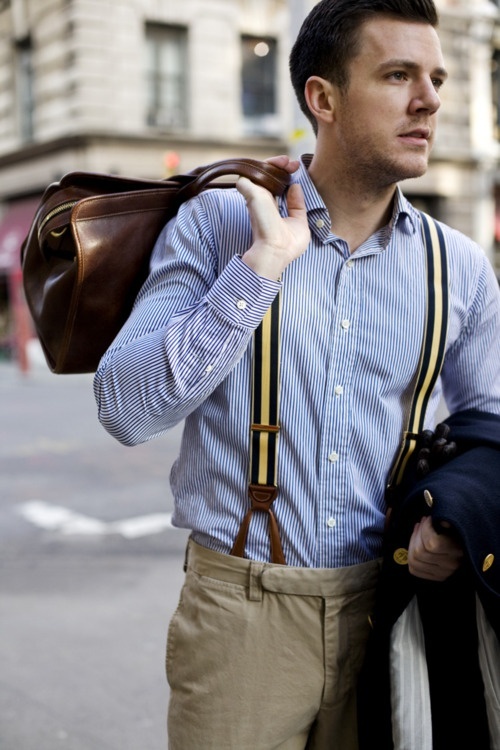 Braces or suspenders are not exactly top of the list for most men. In many a man’s eyes, they are the banker’s trademark or a useful pant holder for the octogenarians of the world. This couldn’t be further from the truth. 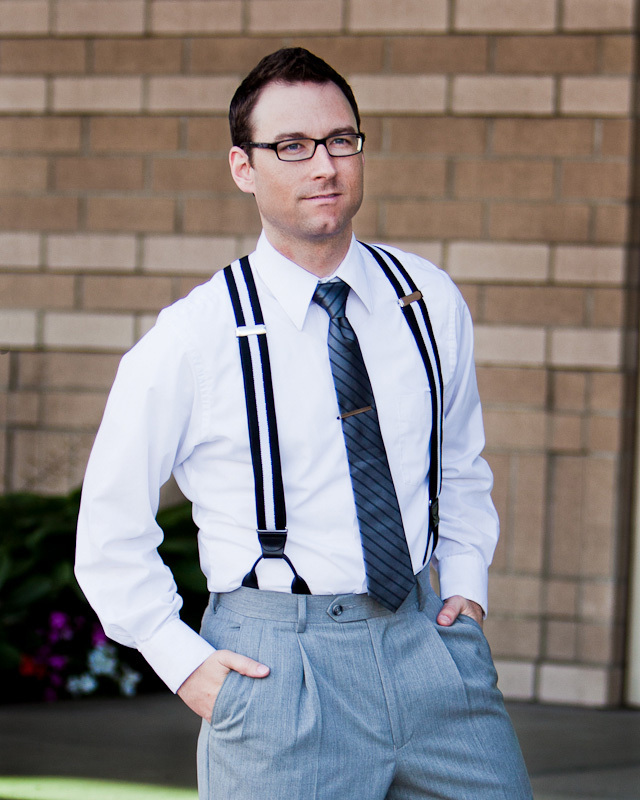 Today, men’s braces are an incredibly versatile accessory that can completely change a look by simply being there. They are functional, and with the cufflinks, are the most practical of all men’s accessories. Walk into a men’s store that specializes in men’s braces. You will feel overawed at the range of styles and designs. The forms – The X includes two back straps that cross over. Y has a centre point in the middle of your back where the two front straps meet. 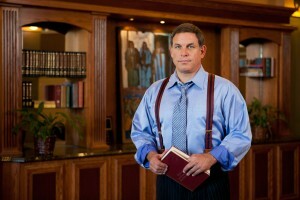 Your choice here is purely a matter of personal taste as both perform well at holding the back of your pants in place. The fasteners – These are the parts that connect your braces to your pants. Clip-on connectors will grip the waistband of your custom tailored suit and may stress the fabric, so they are not ideal for wearing with your formal wear. Button braces make use of buttons sewn into the inside of your waistband to hold your pants up. They are the most stylish choice for formal wear but also fit well with a smart casual look. Combined fasteners bring together both of the above. From plain solid colors to stripes and patterns, there are plenty of options available. Like your tie or your pocket square, braces can be an extension of your personality so play around and have fun with the designs on offer. Be careful though. 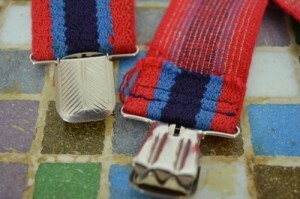 If the pattern is overly complicated then your braces may look a little more like a novelty than a sartorial statement. Choose colors that contrast well with your shirt and that have minimal patterns such as thin vertical stripes, or patterns that make use of subtle hues to retain a refined, understated look. Braces are adjustable, and one size quite literally fits all but in terms of width, they can be anything from super slim to wide and chunky. Slim width is most suitable for a thinner man especially if he is wearing a skinny or slim fit suit. Extra wide are worn in extreme casual settings and are often part of the more edgy punk look or worn by the blue collar man. Medium width is the happy middle ground where most of us find that the porridge tastes just right. This is the perfect size for most men. Braces have been enjoying a renaissance of late. Their upfront visibility lets you make a statement in style. So there’s never a wrong time to retire the trusty old belt and don the braces. Here are two looks you might try. 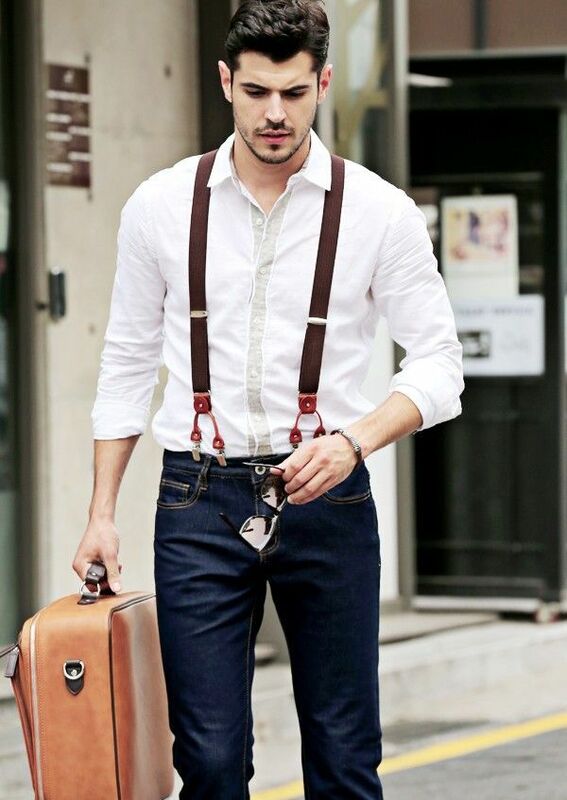 Casual – A pair of patterned clip-on braces to hold up your chinos or vintage jeans paired with runners sets you apart from the crowd. 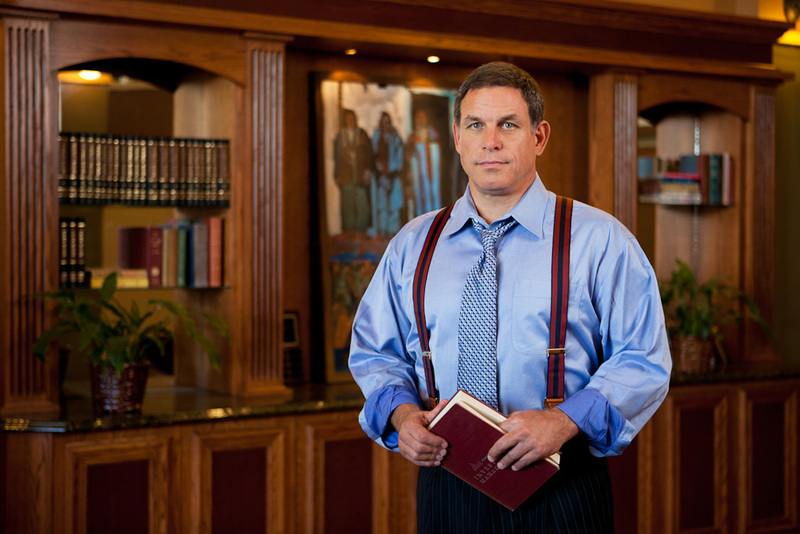 Formal – A pair of button braces in a contrasting color to your business shirt is a great formal look for the office no matter what style of suit you have chosen.